Occasionally, alongside the antique tools in my collection – most of which are or will be in working condition – I like to show the tools that I actually use… These are also usually old enough to be considered vintage/classic, but are honest every day workers with no pretense to value other than their excellence at their intended task. The Eclipse No. 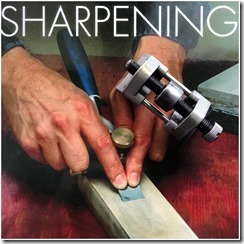 36 is one such, and is my favorite jig for sharpening plane irons or chisels. It is simple, idiot proof, and works exact…ly as intended, every time. Yes, I know, real woodworkers do it by hand and eye – but sharpening is a perishable skill, and I don’t have to do it often enough to maintain the level of skill that would produce an accurate, even bevel sharp enough to satisfy me. Kudos to all of you who are sharpening maestros! British patent number 924579 for this device was issued to James Neill and Company (Sheffield) Limited, on April 24, 1963 and William Leslie Bower was credited as the inventor. This one was made in the UK some time in the 1960s, and was personally imported for me at great expense (in my luggage). I have tried other jigs, but none are superior. They are still made today (although in my opinion current production does not have the quality of my older one) and can be bought from various UK sources for around $25 (£18). 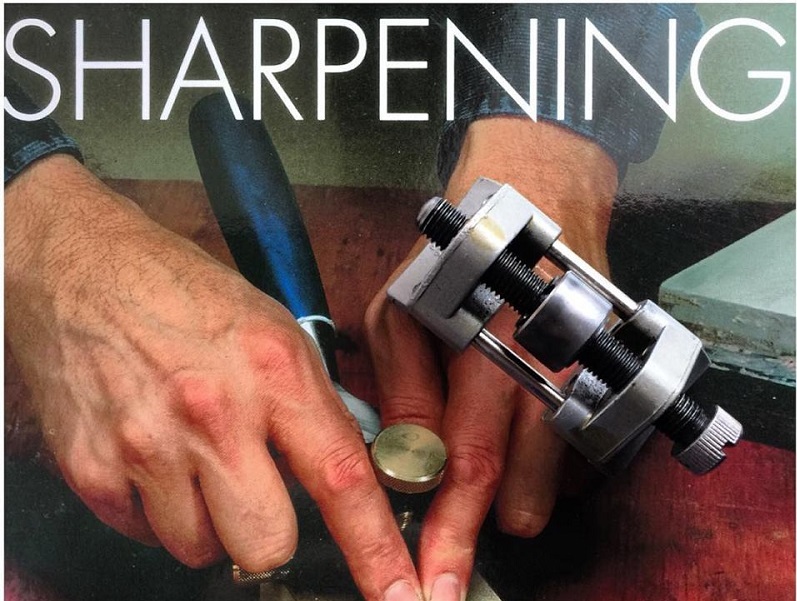 The background to this photo is the cover of an excellent and, at least for the beginner, indispensable book on sharpening and honing any edged tool a woodworker might come across. As a Mystery Book Challenge, Bragging rights will be awarded to the first person to correctly post the full title and the name of the author!